With Christmas coming up, or it could be a birthday, or some other special occasion for celebration, if you’re involved with a diver, this post will be a good tool to help you get the perfect gift. 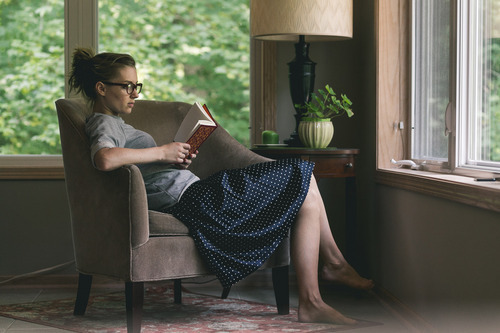 A book is a particularly great choice, especially if you’re trying to stick to a budget. It can be a useful reference, source of adventure, or just an attractive coffee table source of conversation. I’ve brought together a collection of highly recommended and popular scuba diving books. They cover a wide variety of categories to suit your particular niche. In this post, we will examine cave diving and books by the underwater explorers, Jacques Cousteau and Sylvia Earle. If you want to see books in other categories, just click on the topic in the list. This is the true story of two men who in 2004 separately attempted to get to the bottom of caves in southern Mexico and the Ukraine. Each were nearly two miles deep below the surface, facing life threatening drops, huge waterfalls, roaring rivers, tight tunnels requiring lengthy belly crawls and the psychological stress of weeks in completely black, no light environments, without hope of rescue. The book is based on logs and personal interviews. The latest techniques, equipment and practices in diving from the basic to the most technical, including the latest sidemount and rebreather technology are included in this cave diving manual. It is an essential tool appropriate and relevant to all cave training disciplines. Cave diving is considered by many to be the “most dangerous participatory sport.” But with proper training, experience, and guidance, it doesn’t have to be. This book is a complete guide to snorkeling and diving the caverns and caves of the cenotes (sinkholes) of the Riviera Maya located on the Caribbean coast of the Yucatan Peninsula. It includes photographs, maps and details of where and how to enjoy these beautiful cenotes. This is the autobiography of the extraordinary man, Sheck Exley, who devoted his life penetrating underwater caves. For nearly 30 years he was the leader and record setter. He spearheaded the development of the techniques and maintained the highest standards of excellence in a life of adventure, danger, and excitement of a degree that few people can ever dream of. You’ll gain insight into the passion and motivation and the joy that he felt even as in the end it eventually took his life. This is the international best seller by the engineer and inventor of scuba originally published in 1954 that chronicles the early days of underwater exploration. National Geographic presents the 50th anniversary edition of the book allowing readers to follow Jacques Cousteau under the sea during the tumultuous times of World War II. Jacques Cousteau has witnessed the toll taken by human activity on the natural world in the twentieth century. In this book, he describes his deeply informed philosophy about protecting it for future generations. Entwining his fascinating adventure stories throughout, he and coauthor Susan Schiefelbein discuss the risks we take with human health, the overfishing and destruction of the world’s oceans, the hazards of nuclear proliferation, and our environmental responsibility. This visionary, clear-sighted book is an extraordinary testament to the life and work of one of the greatest modern adventurers. This is the adventure story of the exceptional woman, Sylvia Earle, the former chief scientist of NOAA, marine biologist, veteran of more than 6,000 hours underwater, founder of an ocean engineering firm, and eloquent supporter of marine conservation. She takes us along on journeys to places of unimaginable beauty, like the heart-thumping excitement of swimming alongside humpback whales off of Maui, and devastating destruction to the environment exemplified by the huge oil spills in Prince William Sound and the Persian Gulf. 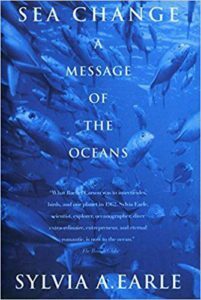 This is a brilliant, thought-provoking book that will inspire a new respect for the majestic beauty of the world’s oceans while at the same time revealing the sophisticated interdependence of all life-forms. I thoroughly enjoyed your post. The better we can understand the immense underwater world all around us – its majesty and its fragility, the more effectively we can behave with respect to how we treat it. In addition, the personalities you profile all had to have had enormous courage to even attempt some of the things they did and accomplished. I’ll gladly refer back to your lists as the holidays approach. You’re welcome. Thanks for your thoughtful comments. I agree. It’s important and remarkable subject matter with a caste of extraordinary characters. When you have a chance, happy reading. My website is a participant in the Amazon Services LLC Associate Program, an affiliate advertising program designed to provide a means for sites to earn advertising fees by advertising and linking to Amazon.com. This is at no extra cost to you.